Well we also need USB to Serial converter and some software. First we will look at software. 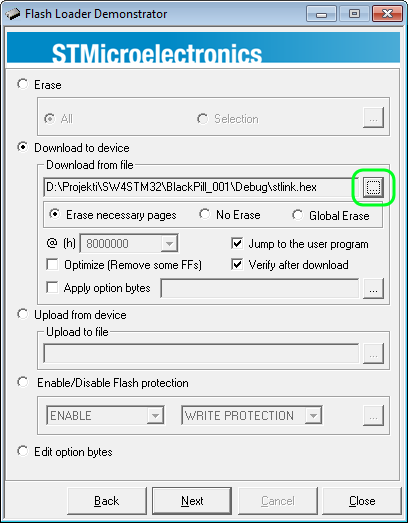 We need so called “Flash Loader Demonstrator“, you can get it at the bottom of this page, or for your convenience on this link, because getting it from ST can be quite a challenge. 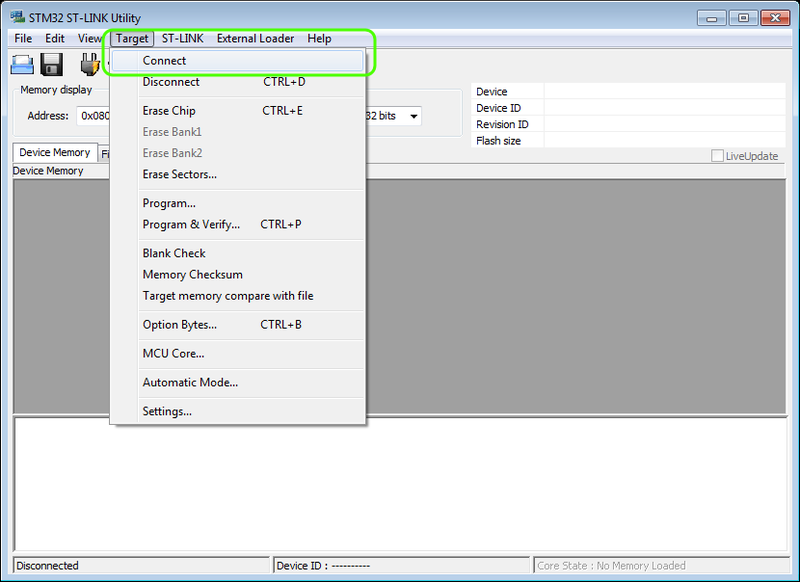 We need ST-LINK Utility, which contains drivers we will need later, you can get it here on the bottom of the page or again for convenience here on my page. 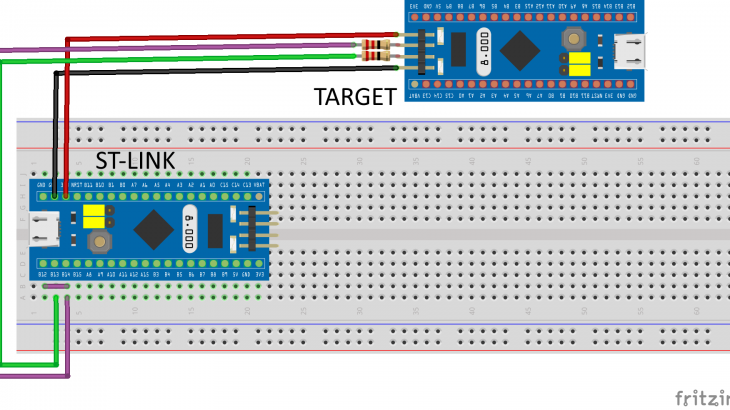 We also need .hex file for uploading into microcontroller, you can find it here. I got .hex file from Mare & Gal’s web page. Be careful to set adapter voltage to 3.3V!!! Have fun with your new toy! Thank you for reading! P.S. : In the title I mentioned Black Pill, it is same for it, just find the proper pins. Hello why can’t I use ST-link upgrade software in the first procedure instead of programming thru serial? Because when microcontroller is new it does not contain ST-LINK software that would communicate with ST-LINK Utility. I having problem with my STM32F429ZI-Discovery board. I has STM32F103C8T6 as ST-link/V2. I cannot update to V2.J32.S7 or any other firmware. This is my first time to trying to update and havent updated before. I tried using this “Flash Loader Demonstrator“, tied Boot 0 to 3V by wire. 1. 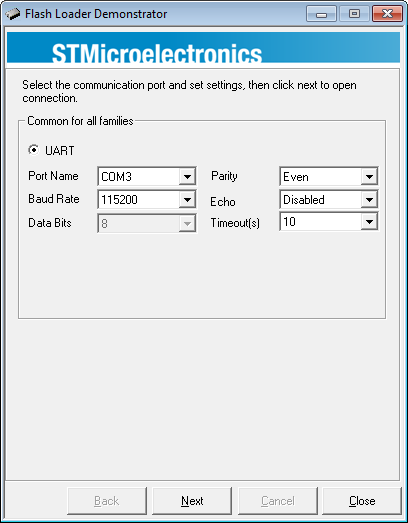 It can detect by clicking next after I select the UART, but when I click back and next again, it wont connect anymore. I was able to remove protection. Do you think that this FW version is not capable to be erased and updated anymore? 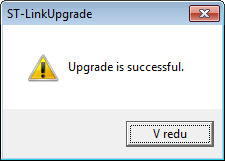 I tried different version of ST-LinkUpgrade.exe but also failed. I havent tried ST-LINK Utility to fully erase though. This board should be updated from ST-LINK Utility. It might ask to reconnect it to get into DFU mode. I haven’t tried the Flash Loader Demonstrator for this purpose. Only for making clones. Try on ST forum if anyone knows the solution. Here is the link. 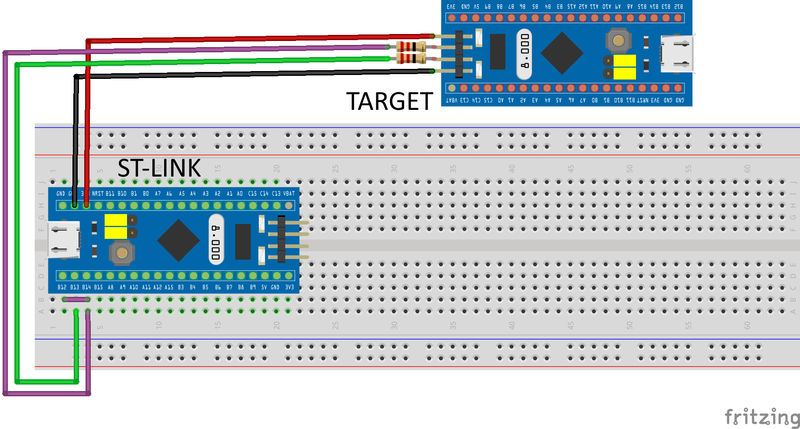 From ST-Link/v2-1 of STM32F3348Discovery I am trying to full chip erase the said ST-Link/V2 of STM32F429ZI-Discovery. 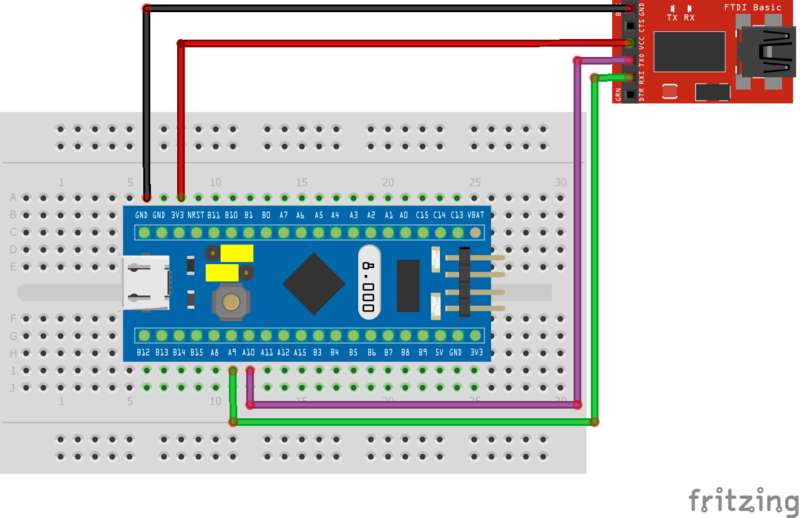 So I connect the SWD from STM32F334 ST-link to the correct pins of ST-Link/V2 of STM32F429ZI-Discovery. I removed some jumpers (SB5 and SB10) and connect SB4 and SB9 of ST-Link/V2 of STM32F429ZI-Discovery (STM_JTMS and STMJTCK) and I solder wire to NRST. Disable read protection and retry. Now I was able to erase it. 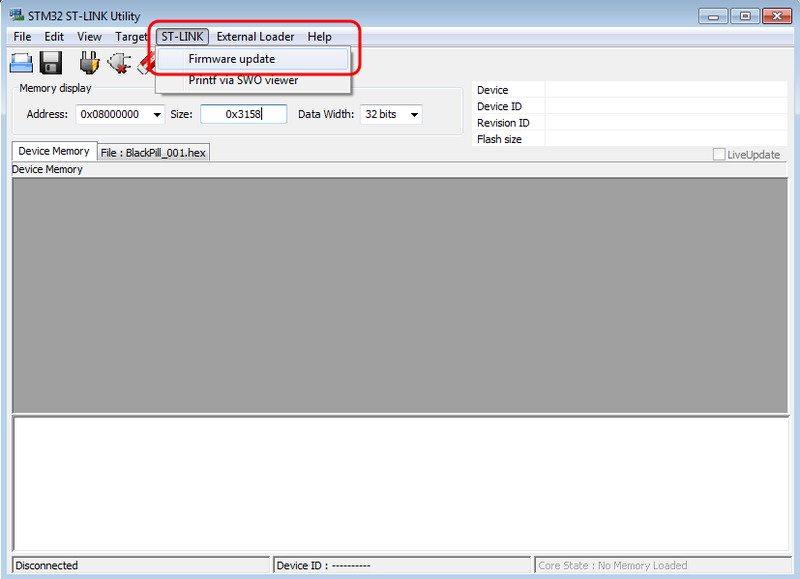 Problem is when I upload the hex file and I cannot update to any new firmware. 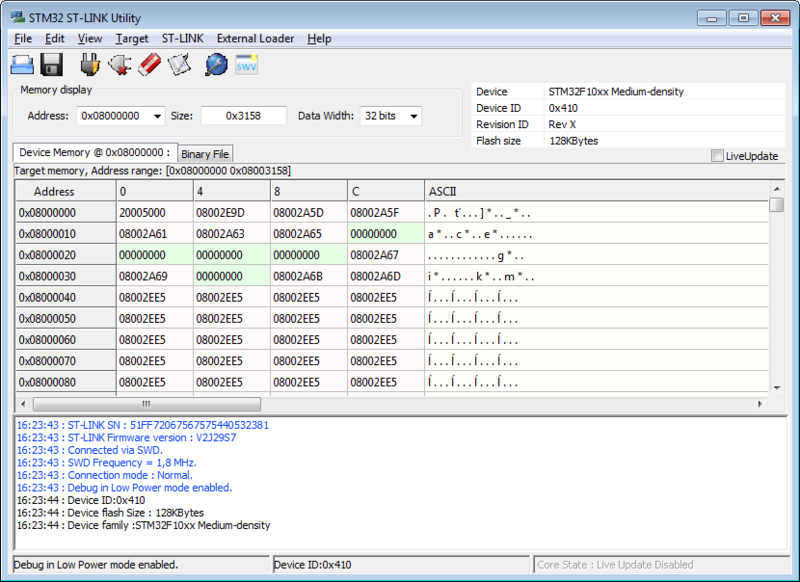 Your hex file is the same as mine V2.J16.S4 STM32+STM8 Debugger. I can confirm I successfully erased the chip because Win7 says USB cannot be recognized. When I update the FW to the said version (V2.J16.S4 STM32+STM8 Debugger), comes the same error (cannot update). When can I search for another newer hex file? BTW, there is no notification when there is a reply from here. P.S. I also installed some plugin for notification on comment reply. Thank you for letting me know that it didn’t work.